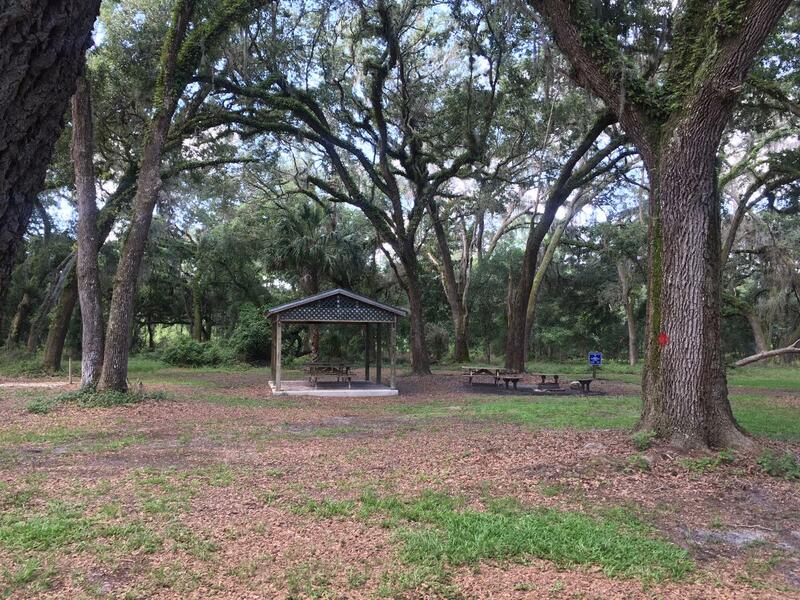 This campsite is located in a mature hardwood hammock approximately .8 miles from Northern trailhead parking area on 182nd Ave. This campsite has a fire ring, picnic table, benches, pavilion & pitcher pump. This site does not have restroom facilities, so please come prepared. Check in time is no earlier than 1 PM and you must leave no later than 11 AM. Campsite access gate is located on SE 182nd Ave. Rd. (Forest Rd. 8), approximately 2 miles south of County Road 314A, and approximately 6 miles north of State Road 42. You will have limited vehicular access to the campsite only. You may not drive anywhere else for any reason. Please use the Leave No Trace Principles when visiting District lands. For more information, go to: https://lnt.org/learn/7-principles.